Summer’s finally here! The nights are getting longer, the weather’s getting hotter, and everyone’s spending more time outdoors again! Everyone, that is, expect for you and your family. While the rest of the neighbours are taking advantage of the beautiful May warmth in their sun-dappled backyards, you’re stuck inside your house, staring at that big drop-off or incline that makes your outdoor space all but useless. Having to write off half of your yard just because of a grading issue is frustrating, and definitely puts a damper on any time spent outside. 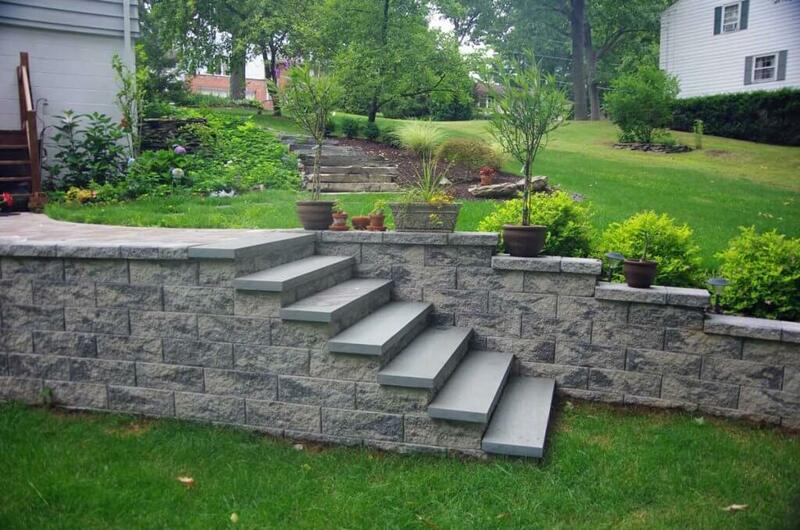 This summer, take back your yard by installing landscape retaining walls for extending your yard! Extend fill or extend cut. Whether you’ve got a perilous drop-off at the end of your yard that you need to have filled in, or you’re looking for a safe, reliable solution for cutting back that incline that intrudes onto your property, a block retaining wall will result in a stable, useable outdoor space where there wasn’t one before. The main difference between fill and cut? When filling your yard, you’re bringing in competent fill materials (i.e. “land”) to extend your yard. When extend cutting, you are removing land to extend your outdoor space. The retaining wall will stop any further erosion from happening. A convenient alternative. 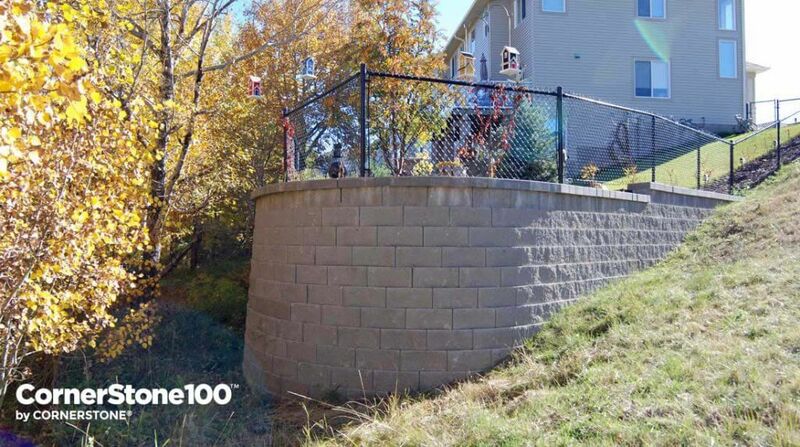 Rather than having to find room for a cement truck in your backyard or worrying about the hassles of cribbing and pouring a foundation, block retaining walls provide the same stability and support with fewer difficulties and issues. Block retaining walls are also more durable than their wood counterparts, and will stand the test of time much more sturdily. They are also, for the most part pervious, which means that they allow water to seep through making them better suited for draining water away from the walls. Simple installation. 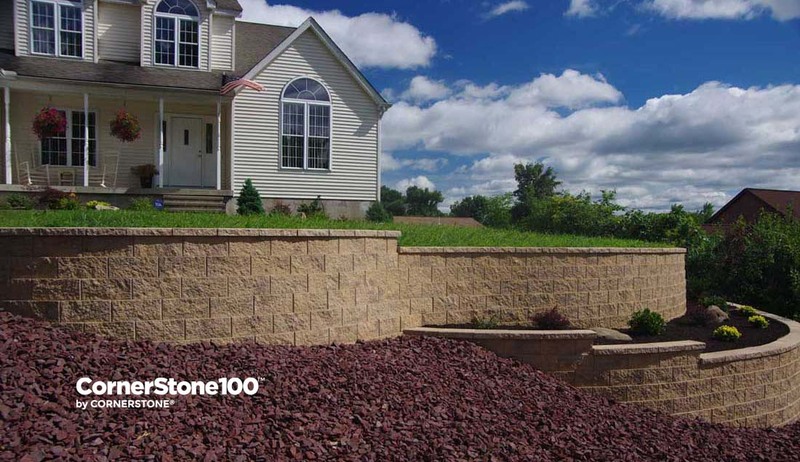 While the construction of a block retaining wall is going to take more work than a simple flower garden, true DIYers will find this project well within their capabilities by using products, such as the CornerStone 100 . This retaining block is simple to install due to its unique hollow core design, requiring minimum manpower to transport and put into place. The secure lugs at the bottom of each block allow them to interlock, and give them a batter – or, setback – from row to row. This speeds up installation time considerably. To make things even easier, installation instructions for a number of retaining block products can be found Here . Beautiful results. 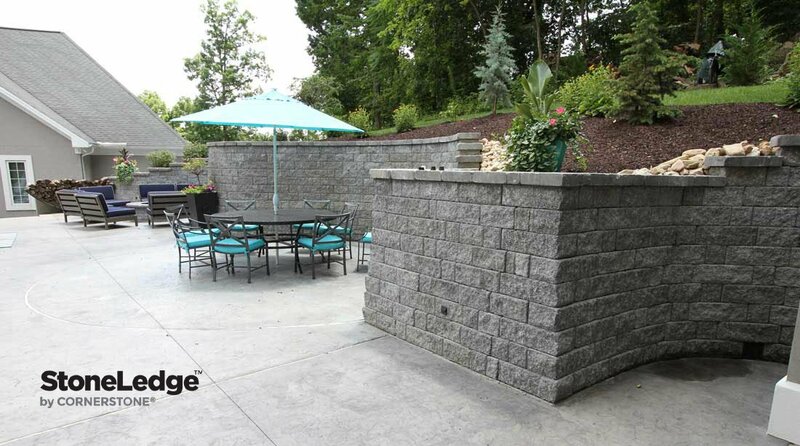 One of the best parts about installing a new block retaining wall is the sense of style and design it will add to your yard. 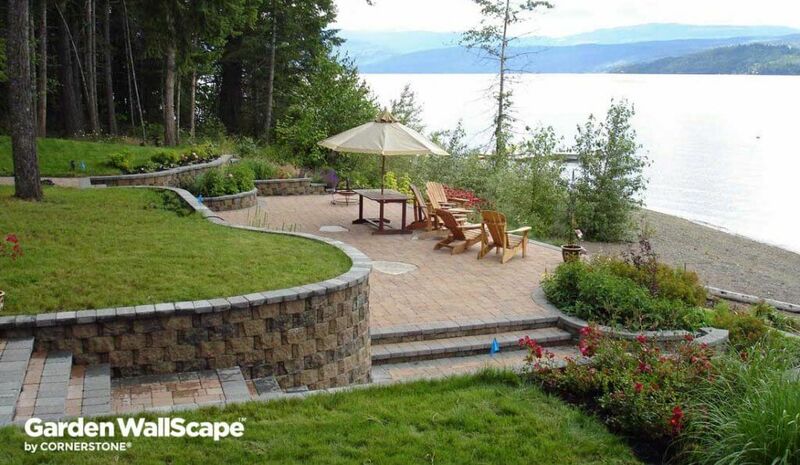 Not only will you gain the utility of all that extra space in your new yard, but you’ll have an eye-catching landscape feature that will stand strong and inviting for decades to come. Sounds pretty great, right? An exciting summer to remember in your brand-new backyard is within your grasp – all you have to do is take back what’s yours! Property line. The last thing you want is to finish all the work of building and installing a brand-new block retaining wall, only to have the city point out that you’ve gone half a foot over your property line. Contact your municipal, City or government before you extend your yard to make sure you don’t encroach outside your land. Call before you dig. As in all building projects, safety is paramount. Call your local utility companies before you break ground to make sure you won’t accidentally hit any lines. There are often free services that will come out and mark all lines on your property. Water maintenance. The primary reason block retaining walls run into trouble is due to water. Be sure you know where water tends to pool in relation to your wall and divert it so it flows away from the wall. In addition, make sure that your wall has good drainage (and a drainage chimney built inside). Any water that pools or flows in or around your new wall could cause problems in the future, so ensure these details are handled during the design and building phases. Once you’ve addressed these few details, you’ll be well on your way to having an open, inviting backyard, all thanks to the simple installation of a block retaining wall. 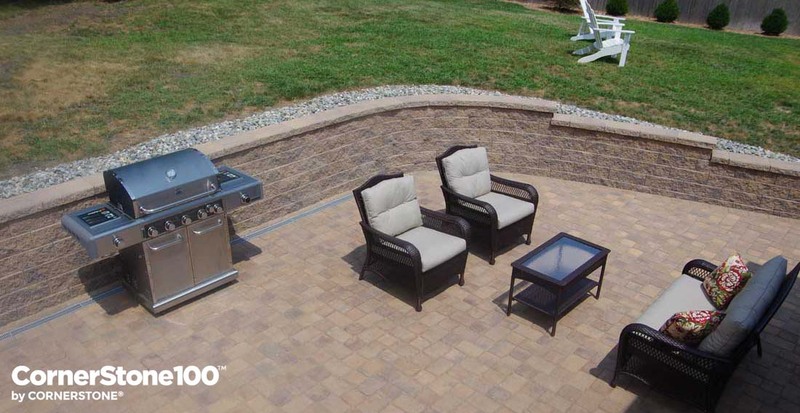 Make this summer one to remember – spend it outdoors in your brand new, extended backyard. Talk to your local CornerStone Products Re-Seller Today about finding a solution for taking back your land and providing your family with the backyard they truly deserve!